I love wedding band china and I have been adding to my grandmother's casual, California Ivy pattern. It is a campy, midcentury pattern on thick porcelain. Last week, I added to my serving pieces. It is also a bargain on eBay. I plan on adding more plates soon. Hello Reggie, do you know if the gold rims can be refreshed? I inherited my great grandmother' s Haviland china, c. 1900', which was so heavily used the gold rims wore away. Would you use it or hide it? Unfortunately, I don't think the rims can be refreshed. Although gold is fired at a very low temperature, putting an older plate into a kiln probably would result it it's exploding. The accumulation of moisture into the clay body through microscopic cracks would probably not stand up to even a low temp. firing. Artificial gold applications just can't reproduce the quality of the original gold, unfortunately. The gold band in white porcelain is a true classic and wonderful to "stretch" more expensive, smaller sets of elaborately decorated pieces. I also have many dozens of place settings of clear glass, a great improvement over disposable (which is not used) but not nearly as elegant as "wedding band". What a splendid find indeed, and one that would make my knees weak if I were to run across such a sight! I just took a look through my collection of Martha's magazines and the article to which you refer was included in Issue 25, December 1994/January 1995. I have a little obsession with Paris Porcelain myself, particularly the simpler decorated pieces such as Wedding Band porcelain. It is elegantly understated and really quite timeless. Do you have any of the earlier Wedding Band pieces with the faceted edges? Those are my absolute favorites and I have many pieces that I enjoy using at our dinner parties and luncheons. The faceted teacups have a very clean and modern appearance. It is hard to believe they were manufactured in the first half of the nineteenth century. to soup bowls which I've managed to collect two dozen at the last count). What a wonderful price for so many pieces of china. 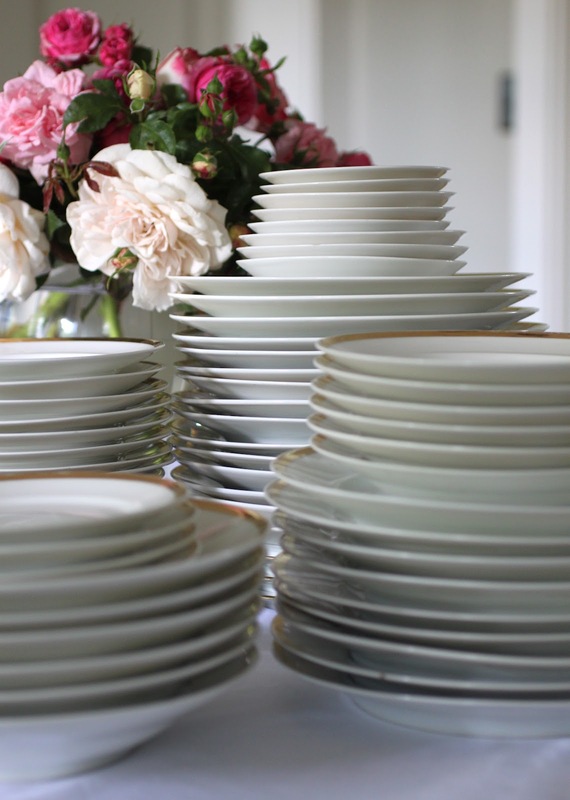 I do not have any wedding band china but have a large collection of Crown Darby, Spode pink tower and wild strawberry by Wedgewood, which we use at our dinner parties. I have 12 place setttings for each and change them about depending on the season. I have run out of storage otherwise I would add some wedding band china. Ah, lucky you to have a basement, Reggie. Among the many things I dislike about living in California is the lack of basements. Storing extra china in the garage just would not be the same as putting it in a nice basement cupboard! I, too, have run out of space, having 12 place settings of Pickard's Washington pattern, 12 of a Christmas pattern, and various bits and pieces inherited from my grandmother. I don't think I have mentioned it before .. This is Hyacinth's pattern in Keeping Up Appearances ..
Hello Reggie, I believe this is a reference to Mrs Bouquet's favorite china on the British sitcom "Keeping Up Appearances". I'm sure if you've ever seen the show you would not soon forget her. I'm always drawn to simple white china, and the gilded edge is the icing on the cake. I have gilded edging on a Royal Worcester pattern, but unfortunately it doesn't like the dishwasher, (or rather it doesn't like them). I suppose I should just think "to hell with it", and stick them in, but instead I use a simple white with blue rim service, which survives the modern convenience quite well. Other bits of beauty such as the silver (flatware) and the glass (Waterford) are also very unforgiven in the dishwasher, and those I cherish too much to inflict the machine on them. So it's by hand. I was lucky enough to buy a full service for 12 from the Royal Worcester factory in the UK during the early 80s. The factory sales shop also sold experimental pieces and odd overruns, etc. I bought two small casseroles that were completely covered with plain gold. Also, some other 12 inch plates with various gold trims. They work wonderfully as serving plates. I also have a few odd pieces of early (1960s) Noritake with gold trim. They blend right in and are really quality porcelain pieces. Wonderful. 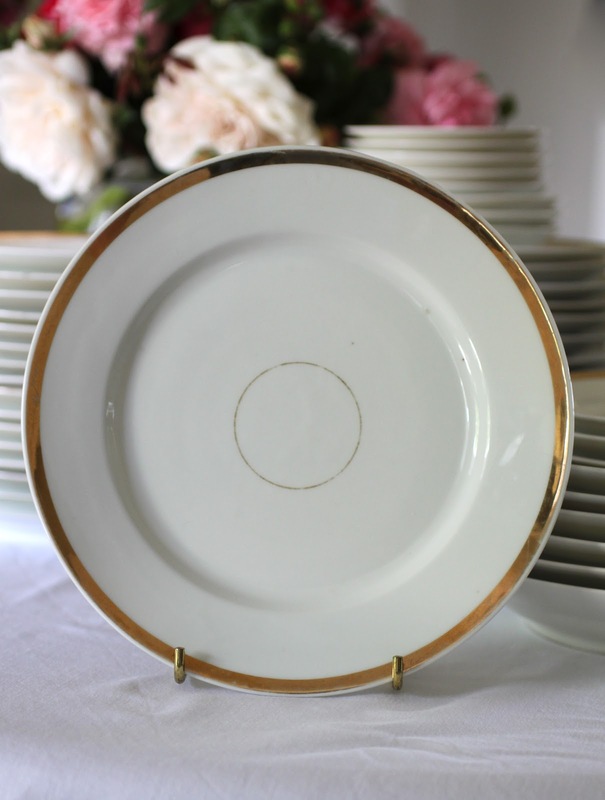 We have amassed quite the collection of Royal Copenhagen china and what I love about the dishes the most are the numbers on the bottom of the dish which is easy to keep track of size and style when scouting. I do have a few serving pieces that I adore. I wish I could find one of the old coffee servers. Love the idea of your brunch on those gorgeous plates. We never do paper. I have some of the RC in blue & white... blue half lace? my favourite pieces from them is the little double-handled covered cold soups. Hello Reggie, I was interested to read that your faceted set is undecorated. I've never come across any of those pieces, although I do own a wonderful faceted Paris Porcelain confiturier that is undecorated. I've done some serious damage on eBay over the years and was shocked recently when I received an email from eBay congratulating me on my 15 years of shopping with them. 15 years - simply mad!!! Just today I was thinking, why do I use china for everyday dining? Oh two quick questions, am planning next year's birthday. Fly into NYC - night at The Carlyle but which hotel in Boston on the way back? Hubs and I are agreed-what Reggie says goes. Wonderful stuff Reggie, I think it's Nantucket for next year's birthday! We'd have a night at the Carlyle then and then 5 days on the island and round it off with a night in Boston. Hope you and boy have a wonderful trip! Is "bruncheon" actually a word? I love wedding band china and I'm lucky to have a set of my grandmother's. In the summer it's fun to mix it with white cabbage dinnerware and in the winter with darker patterns of old Limoge. Thanks for a great post! The Contessa is on it!!!!!!!!! !If I find should I let you know?Gold & White.......just the perfect plate. We love this! It's so chic...for buffets and everyday. Hope you, Boy, and Pompey are well and enjoying summer. Such a classic. My plate selection has dwindled. Hmm. I should search out an occasion to augment. When a friend of mine married in the 1960s her Connecticut socialite grandmother told her that all she needed to entertain was 100 plates and 100 forks. (Of course that doesn't cover serving dishes and cups/glasses.) The grandmother said that with this she could serve one course to 100 guests, two courses to 50 guests, etc, etc. My friend asked, "What about the soup course," and that's when the practical old Yankee came out of her grandmother: "Too much trouble, dear." This woman had obviously entertained frequently in her time, and understood the benefit of keeping the hardware simple, allowing her to focus on things like the guest list. And I have no doubt this grandmother would have loved having a vast collection of Paris porcelain! When my grandparents were married, they received a set of new-old China which I believe was similar to this, and which they told me was all wrapped in newspapers of Civil War date. Unfortunately, I don't have either the china or the newspapers. By the way, do all of your pieces have the same type of burnished gold band? Somewhere I have some similar plates with a Gothic trefoil design in the band--I can't remember whether the relief design was in the porcelain or just in the gold part. I think they are English and with an ivory instead of a white background. Love the stuff. Can't get enough of it! Thank you for your post. What a treat to find your blog. On the subject of M. Stewart. The publisher's deliberate lack of indexing the content at all on any level ( except for a separate published index printed once) now who paid extra for that?? That would be perhaps highly valued if found, but it was not a product they could sell advertising in I suppose . My collection starts in 1993. And well I did not subscribe year after year since the early 2000s as well, to me, it drifted from its original voice. LOVE the Wedding Band China! After years of trying to find a proper accompaniment to my "Carlyle" by Royal Doulton, I decided this Parisian Porcelain was the perfect choice, (and as you, Reggie, have mentioned), a most affordable complement. Indeed, it can stand alone by it's own simple and refined virtues, but also partners so well with many other fine patterns...traditional and contemporary. This may sound horrible... but when our young Godson, or other young children came to luncheon or dinner, we often provided them with a Wedding Band service, rather than a more expensive choice... I'm proud to say our Godson is now older, and dines on the finest I have to offer. Reggie, your postings are the highlight of many of my days. Too funny! Between the previous post on salts and this you could be channeling my partner who has collected Old Paris for years. One note of caution -- the gilt was produced using mercury. The safest way to clean it is handwashing in cold water. Avoid hot water and heavy scrubbing as it will damage the gilt and potentially release small amounts of mercury. Pile of plates indeed! Oh dahhling you speak to the weakness in my heart: Porcelains! as the very clever Marques de Sant'Ana always says (quoting Deede Brooks): "furniture makes us comfortable, art makes us worldly, but porcelains make us civilized!" I ahhdore the entertaining possibilities that new porcelain finds create in us! I too have loved the wedding band china since I was a little girl. My great aunt gave a very large set of the china to my mom, and I will inherit it. Our set includes dinner, salad, and dessert plates, cups and saucers for 18, as well as several sizes of platters, covered serving pieces, and pitchers. Our covered serving pieces and pitchers are adorned with the rope and anchor theme. 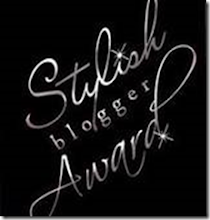 I am a big fan of your blog, and I always look forward to your posts!